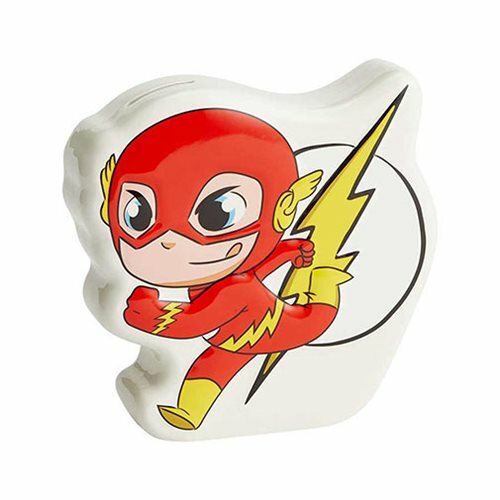 Get to your money in a flash! 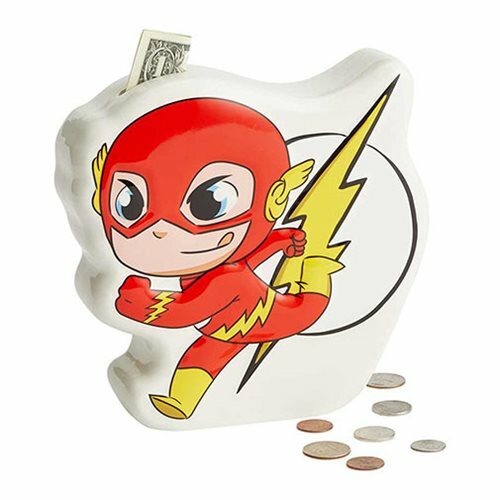 Hide your coins and cash in this awesome DC Comics Superfriends Flash Bank featuring a stylized image of The Flash. 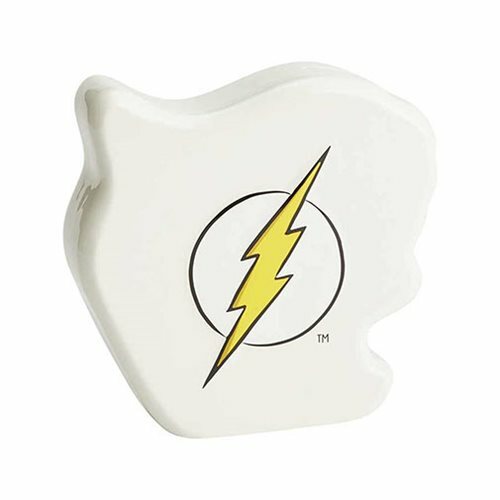 Measuring about 7 1/2-inches tall x 7 1/10-inches wide x 2 2/5-inches long, it's made of dolomite.